House GOP members plan on Tuesday to introduce a measure to bring a 2nd special counsel to investigate FISA Abuse, the coverup and terrible handling of the Clinton Case. This is being presented by Rep. Mark Meadows, R-N.C. chairman of the conservative House Freedom Caucus as well as two of the group’s co-founders — Rep. Jim Jordan, R-Ohio, and Rep. Ron DeSantis, R-Fla.
Fox News reported 12-page resolution will ask a 2nd special counsel to probe matters related to three topics: The ending of the investigation into Hillary Clinton’s personal email server, the progress of the Trump-Russia investigation from its origins through the appointment of Robert Mueller as special counsel, and abuses of the Foreign Intelligence Surveillance Act (FISA) during the warrant application process. In the Nixon administration, we saw the same type of thing, a move by what Nixon saw as a threat to him, the DNC, he remembered very vividly the 1960’s campaign how JFK had surprised him in what he thought was a for sure victory, was determined that he would not allow any such thing to be done again. Sadly when he was busted his whole legacy, one that I thought was great until then was quickly destroyed, a president who could have retired with a sterling history instead retired in disgrace. We now have the Obama administration, much is the same, but the difference is by what we now know, Obama did this not to win another election for himself, he was concerned for his legacy, knew that a Trump victory would undo much of what he had put in motion, So like Nixon he set out to influence the 2016 election, but this is where the similarities ended. 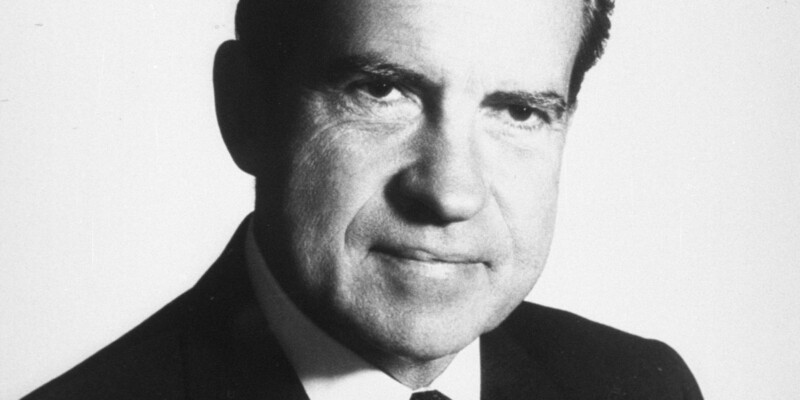 With Nixon, the corruption was confined to the White House and his aids within it, with Obama we see this corruption went to the Attorney General actively aiding in covering for him, in the intelligence community, the FBI leadership, and the Justice Department. But it does not stop there, there is also the press that has actively engaged not a news source, rather as a part of the Obama administration, giving such soft coverage of him they seemed more part of the White Press secretaries office then independent entities, even going so far as to start crying when Clinton lost the election on live TV. We now see the DNC message and the liberal press as one and the same, each colluding with each other to push a narrative that has little to do with truth, rather achieves a political goal they desire. This is greatly shown over their contempt of Trump’s use of Twitter, the way he was able to circumvent their influence and bias and reach to his constituents, you had reporters go so far as to say they should determine what is news, and how to present it, not him. What we see is a meltdown, it will get worse, you will hear as debates go out about appointing the second counsel what you did not hear with the fist, that this is a witch hunt, that this is collusion between the GOP and the White House to somehow take eyes off of what Mueller is doing, but you will not hear a single Democrat stand up and say that civil liberties were violated, this needs to be looked to. What the DNC used to stand up for, today they could care less about. We need justice, we also need to make sure that this type of thing is exposed, laid bare, if people are involved, does not matter if this goes all the way up to Obama, they need to be prosecuted in such a way that no one will try this for many years. Sadly I would love to say forever, but politics corrupt, you need a slap down like this from time to time to put sense in politicians, but soon the power makes them forget. We have seen many great and noble empires fall because they were consumed by corruption within and no one did anything about it. Where many started off with great goals and ideology, they soon fell under the absolute corruption that such power brings with it, we as a people need to not only be aware of this but to guard against it at all times, otherwise you end up again with this same type of mess and this great American experiment will go the way of Rome, Persia and other great empires of old. There is only one way to stop this, to demand that the facts be open for all to see, that they are exposed to the harsh light of truth. We need a 2nd special counsel, we need to have this explored, if there is wrong done, it needs to be exposed, this is the fear of the ones that have been involved and the hope for us that love this nation.